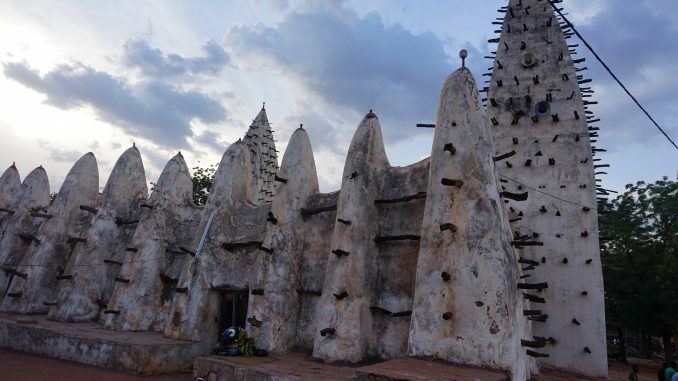 One of Burkina Faso’s most iconic iconic landmarks, the Grand Mosque of Bobo-Dioulasso is considered to be among the best examples of mud-brick construction in the world. 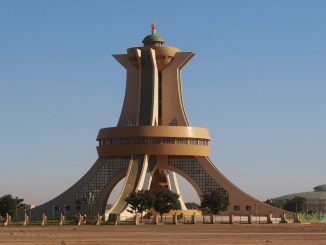 This mosque serves as one of the most well-known examples of traditional Sudano-Sahelian architecture, and it’s also the largest mosque built in this style throughout all of Burkina Faso. Construction of the Grand Mosque began in 1870 and lasted for 10 years, and thanks to years of constant care and repairs, the mosque is in incredibly good condition. Whenever the rainy season begins it is possible to see damage caused by the harsh conditions and beating sun. It is this time of year that any damage within the mosque is immediately fixed. The result of a political deal between the King of Sya and the Islamic leader Almamy Sidiki Sanou, the Grand Mosque is the oldest continually operating mosque in the city. It serves as a traditional meeting place for worship, a living monument to the skill of local craftsmen, and a wildly popular tourist attraction. The Bobo-Dioulasso Grand Mosque is comprised of two large minarets with 65 supporting pillars organized in intersecting corridors. In total it can accommodate more than 800 people, but there are strict rules on who may enter certain areas. The first two rows are reserved for older women (those that are passed child bearing age), the next seven rows are reserved for men, and the final few rows are reserved for honored guests and those there to help the Imam. This may not seem like a big deal to those unfamiliar with Islam, but for many years women were not allowed to enter the mosque at all. Bobo Dioulasso is the second largest city in Burkina Faso. The mosque is referred to locally as “The Old Mosque”. The name Bobo Dioulasso means “home of the Bobo-Dioula”. The two names, “Bobo” and “Dioula” are derived from the two majority ethnic groups that gave the city, as well as the mosque their names.